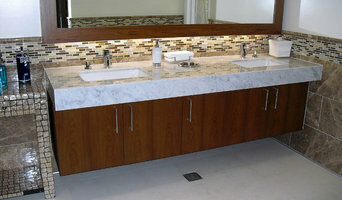 Stone & Ceramic Surfaces, Inc. The Showroom at Stone & Ceramic Surfaces is a never-ending experience that continues to evolve as the changes of our industry and those of our clients also evolve and become something greater. You’ll find every aspect for a project involving surfaces imaginable. But it’s the end creation that makes our experience important and valuable to our customers. How is this true? One of our strengths is the assortment of choice within our Showroom. From there we have assembled “Concept Boards” that begin to assist you even further. (See Concept Boards Here). But it is our associates that combine contemporary knowledge, education, working experience and sophistication that connects you to your project. Stone & Ceramic Surfaces has brought together choice and experience in an atmosphere wrapped around a setting ripe for creativity and value. If you have been in, you already know. If you haven’t, take advantage of something quite unique and driven. You will join with our customers, including interior designers, contractors and students, who have found our life’s work enterprising and refreshing. 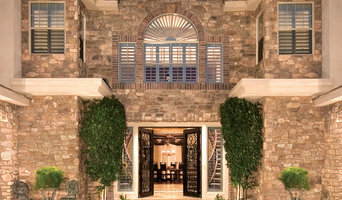 Southern California's premier tile and stone installation contractor. We're passionate about providing positive experiences though lasting tile creations that will add value to your home and enhance your daily life. Trendy Surfaces is a U.S. based company whose showroom is located in Orange County, California. Trendy Surfaces is an exclusive slab, tile and mosaic wholesale distributor which has a tremendous selection of the premium quality ceramic, granite, travertine, limestone, glass mosaic, porcelain, hardwood, onyx, natural stone tiles and slabs that reflect our passion for quality craftsmanship and innovative design. We import materials from all over the world, including Brazil, Italy, Spain, Turkey, Portugal, India, and Taiwan. Working with our partner factories in Turkey, Italy, Brazil, Portugal, Spain, China, Greece we can supply direct containers of unique natural stone products for your projects. Our team has extensive experience in both residential and commercial projects, including custom homes, hotels, golf resorts, movie theaters, office buildings, etc. At Trendy Surfaces we provide our customers with the highest quality materials while offering them the most affordable price, excellent customer service, expertise, education and design assistance. We are passionate about offering you a broad selection of beautiful and complementing materials. We provide our clients with all they need to dream, create and design with confidence. We display our products on our secure e-commerce site www.trendysurfacesinc.com, and our showrooms at Stonemill Design Center in Costa Mesa, CA and at Laguna Design Center in Laguna Niguel, CA. You can visit our slab yard by appointment in Anaheim, CA. Don’t hesitate to stop by our showroom Monday - Friday 9.00am- 5:00pm to speak to one of our sales professionals who are ready to help you. Welcome to our family! At Giza Granite, we custom design our Quartz to perfection and we only order the highest quality Granite, Quartz, Quartzite, and marble Countertops to last a lifetime at your home. Located in sunny Temecula, California; We are known for Kitchen and Bathroom remodeling, and we take pride in every job we take. With over five years of project management and home remodeling experience, both co-founders Moudy and Danny have decided to start a company that offers the highest quality stone for the best price possible. Throughout their career, they had dealt with many vendors, and they quickly learned that there are many in-efficiencies with those big players in the stone industry. After months of research, Danny and Moudy did come up with the best formula on how to reduce cost without sacrificing quality or the integrity of the product. The formula was quite simple; make no compromise while selecting and designing stone. Work with the best world-class manufacturers and fabricators but we must sell it for a reasonable price (basically lower than the current market price, especially after the recent tariffs that took place in September 2018). To do that, we decided we will stay away from the market trends. Meaning, we do not operate out of an expensive retail location. Trust me when I tell you, this is a big expense that is added on each slab, and you best believe that the end-consumer/homeowner pays for it. We operate from our midsize office and warehouse to save cost. Yes, you can visit to look at products, and easy access for pick up. Additionally, we created a system to maximize efficiency for each Giza Granite employee, while maintaining a great work/life balance. Last but not least, we cut the middle man. We reach out and sell to the final consumer/homeowner directly while giving them a better price than what the local store/installer would charge them. Our prices beat current contractor prices (Which is about 25%-30% less than retail price). Also worth mentioning, that we aggressively advertise online to reach to our customers through our industrious Marketing Manager Monte. In essence, we run a small and efficient operation to keep our overhead to the minimum and so you can save money. Having said that, whether you are just looking to buy slabs/prefabricated countertops or looking for installation, GIZA GRANITE LLC is your best friend. Maison Stone specializes in the special. The product line encompasses an expansive array of unusual, hard to source pieces and exclusive items. The designs are fresh, sophisticated, and exotic. They encompass various design styles, regions of the world, and historical eras. Glass from Mexico, onyx slab from Africa, Calacata marble from Italy, stones from Portugal, and handmade ceramic tiles from artisans living and working in the United States are all part of the Maison experience. The overall design aesthetic is a reflection of the varied interests and backgrounds of the company's principals. MÁRMOL EXPORT, USA is an innovative, trend-setting, high-end supplier of natural stone. We are your premier source for Spanish, French and Portuguese material. With over 40 years of experience in the natural stone industry, we are able to offer a wide selection of exotic stone from all over the world. Our reputation for exemplary service and the highest quality stone is second to none. At MÁRMOL EXPORT, USA we specialize in providing custom water-jet and mosaic, cut-to-size projects and architectural stone to professional designers and the design/build market. 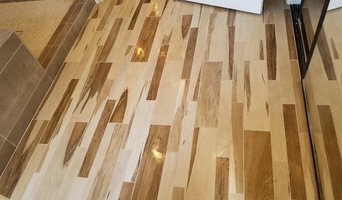 Marble Specialist is a locally owned, fully licensed stone floor and tile cleaning and restoration expert in Orange County. We specialize in maintaining, cleaning, repairing, polishing, and sealing all types of marble, granite, travertine, limestone, Terrazzo, and slate surfaces, including countertops, stairs, floors, sinks, walls, backsplashes, sinks, and tubs. To safely and effectively revive the look and condition of dull, dirty and/or worn natural stone as well remove scratches, stains, etchings, lippage, and cracks, we apply the industry’s leading techniques and only use high-quality, commercial-grade tools, solvents, and sealants. As a testament to our expertise, we have a stellar reputation among our clients and receive the vast majority of our business from repeat clients and referrals. We welcome natural stone cleaning and restoration jobs of all sizes throughout Orange County, including Newport Beach, Newport Coast, Chino Hills, Laguna Niguel, Laguna Beach, Anaheim Hills, and Trabuco Canyon, as well as many cities throughout Los Angeles, San Bernardino and Riverside County. Call today to set up a free on-site consultation for our natural stone cleaning, repair, and restoration services. We are a 2500 square foot showroom with lots of kick. We carry exclusive boutique tile lines such as AKDO, Encore Ceramics, Landmark Metalcoat, Stone & Pewter Accents, Original Mission Tile, Quarry Tile Company and Nadeau to name a few. We deal with Contractor, Designers as well as with Home Owners. We only strictly sell material because no one likes to pay extra for a middle man to "install" their tile! WE HAVE BEEN SERVING ALL OF ORANGE COUNTY, CA. SINCE 2000. ALL FLOORING, COUNTER TOPS,, BACK SPLASHES, ENTRY WAYS. PATIO'S, FIREPLACES, BBQ's, SHOWERS AND REMODELS. WE ALSO DO HOME REPAIRS. Stone Pride International Corporation is a marble and granite supplier with a 17,000 sq. ft. warehouse in Anaheim, California. 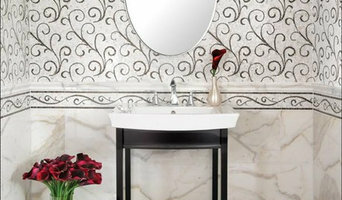 Our product lines include but are not limited to: ultra-thin Aluminum-backed water jet Marble medallions, regular water jet marble medallions, marble borders (marble liners), mosaic borders, granite and marble frames (ogees) and pencils, mosaic medallions, fireplaces, granite and marble tiles , countertops, Slabs, Slate, and other special order items such as stone pillars, columns and handrails. What We Believe: A tile is never just a tile. It’s a piece of your home and your daily life. It adds to your comfort and style. Exfloorit is an invitation to explore and discover the world of tiles. We're young people with years of experience in the tile industry and now we want to bring a new online experience when we talk about tile. We focus on providing: A variety of tile selections to choose from – This includes offering both traditional tiles and more unique types not typically found elsewhere Quality across the entire tile selection process – We focus on quality checks right when we receive inventory to right before we ship Customer satisfaction as a priority – We look at our products as if they’re going into our own homes. Satisfaction is guaranteed. At ExFloorIt, we focus on the trifecta of success through building relationships with vendors, customers, and team members. We’re happy when everyone is happy. Crica Marble & Granite is a family owned business that specializes in the fabrication and installation of all natural stone. We've been in business for over 20 years and have the knowledge and tools to get your project done. Not only do we just specialize in all natural stone material, but we specialize in great customer service to make sure that with our every visit you are satisfied We have partnerships, and are licensed with :Cambria, Dupont Zodiac, Neolith, Pental Quartz, Silestone, We carry Caesarstone. as an additional incentive, Our showroom pricing will always be passed down to client or contractor for additional savings. A passionate Natural Stone Restoration Specialist focused on solving any natural stone issues you have in your home or business. I am an owner-operated business, delivering HIGH VALUE services for your costly investment of natural stone floors, countertops and showers. Scratching and etching are removed from your marble, travertine and limestone floors by way of diamond honing and polishing. We also restore granite countertops and exterior slate installations. We work on ALL types of stone, including limestone, terrazzo and onyx. Don't Replace....Restore! Call Kent Taylor at 877-396-9357 for high quality workmanship with integrity. You will not be disappointed!